He began his career in 1897 as a concert singer with appearances in Düsseldorf and Köln. 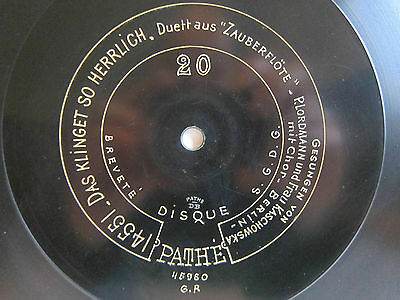 In 1897 he made his debut at the Hoftheater in Kassel. In the 1898-1902 seasons he was engaged by the Theater of Graz. From 1902 to 1904 he appeared at the Hoftheater in Karlsruhe. 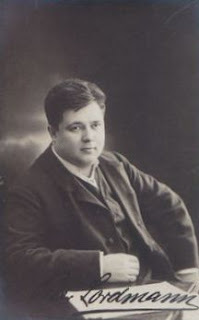 In the 1904-1905 season he sang at the Opernhaus in Köln and in the 1905-1909 seasons at the Volkskoper in Wien. Here he sang among other things in the Viennese première of G. Puccini’s ‘’Tosca’’. Here his repertoire included Figaro in "Figaros Hochzeit", Sarastro in ‘’Zauberflöte’’, Leporello in ‘’Don Giovanni’’, Daland in "Fliegenden Holländer", king Heinrich in ‘’Lohengrin’’, Stadinger in "Waffenschmied" by Lortzing and Saint Bris in ‘’Huguenots’’. In the 1909-1912 seasons he belonged to the ensemble of the Dresden Hofoper, in the 1912-1916 seasons to the Deutschen Opernhaus in Berlin. After a short participation as a soldier in the First World War he continued his career and from 1917 to 1919 he was a soloist of the Stadttheater in Bremen, from 1919 to 1921 he was a member of the Staatstheater in Wiesbaden, then in the 1923-1924 season he was active as singer and director at the Stadttheater in Hagen (Westfalen). In 1903 he guested at the Hofoper in Wien, in 1911 at the Opernhaus in Leipzig. At the Deutschen Opernhaus in Berlin he sang in 1914 in the premiere of E. Humperdinck’s "Die Marketenderin". 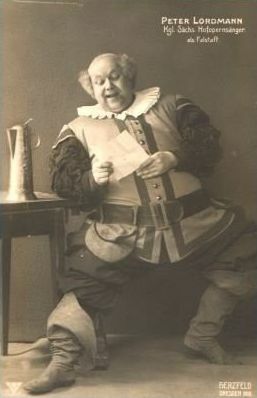 His stage repertoire also included Osmin in "Entführung aus dem Serail", Falstaff in "Lustigen Weibern von Windsor", Baculus in ‘’Wildschütz’’, Bombardon in "Goldenen Kreuz" by I. Brüll,, Beckmesser in "Meistersimngern", Rocco in ‘’Fidelio’’, Giacomo in ‘’Fra Diavolo’’ and Eremit in "Freischütz".